I follow a number of other beer writers, both local and national, on twitter. Discussing everything that’s happening in the world of beer with these writers is usually a blast, even when I respectfully disagree with their points of view. There is one national beer writer who is based in Massachusetts and while I respect the work he does and many of his opinions, I get frustrated by his harsh negativity when discussing the local beer scene. Some of his attacks are at particular breweries that he doesn’t care for, while others are general. 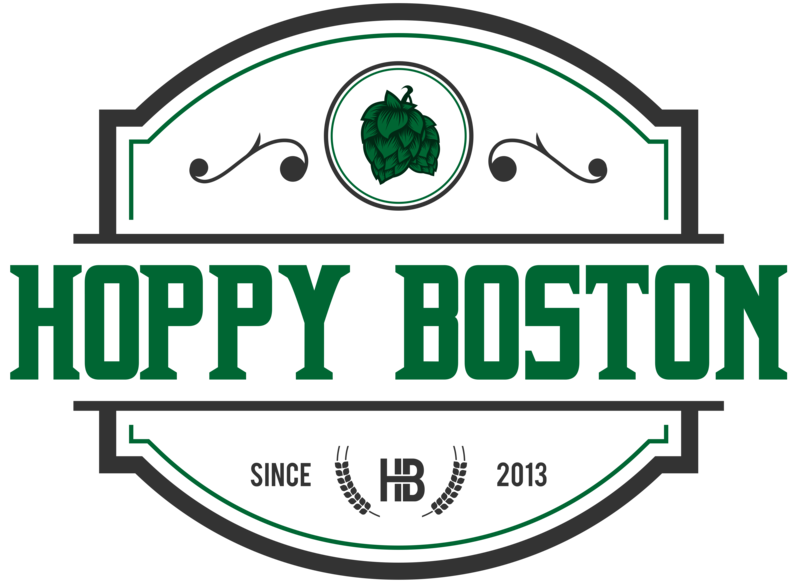 I agree that the local scene isn’t perfect, Massachusetts is middle-of-the-pack in breweries per capita and it seems like some new breweries open without thinking about a niche or even developing good recipes. I think the breweries per capita statistic is a little overblown, one of the advantages of the geographically small states in New England is that breweries in neighboring states aren’t that far away, especially compared to the West Coast. I also don’t understand the point in attacking breweries you dislike, I think it is more productive to praise the brewers who are making delicious and innovative beer and hold them up as the example to be followed. One of the breweries that is unquestionably making great local beer is Tree House Brewing Company, and the one of their standout beers is their flagship IPA Julius. Tree House makes a number of tasty beers, but it was the popularity of Julius that helped turn a farmhouse in Monson into a beer lovers mecca. Julius has all of the desirable characteristics of the new class of American IPAs, huge fruity hop flavor and aroma but still extremely easy to drink. On a recent visit I filled growlers and bought cans, and it still disappeared from my fridge quicker than I would have liked. Tree House Julius is available on a rotating basis for growler fills and in tall boy cans at the brewery, check their website for availability. 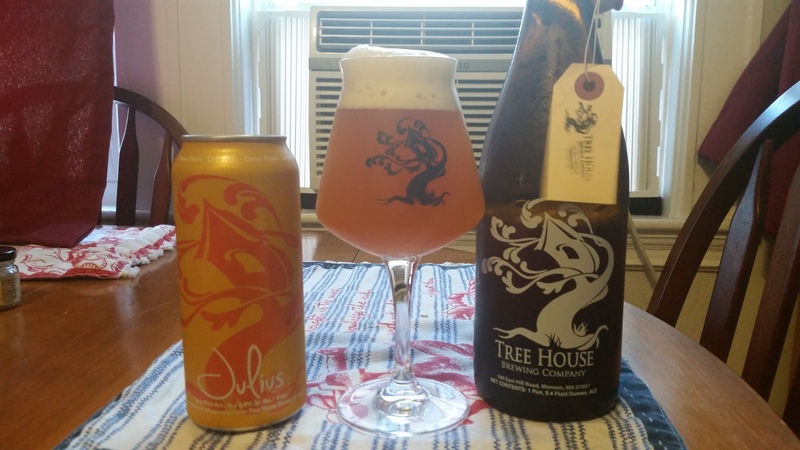 Treehouse Julius pours a hazy deep orange with a moderate off-white head. The scent is a big burst of fruity hops, distinctive of a new-school American IPA. The hops dominate the flavor, notes of orange, grapefruit, guava and mango. Hop bitterness is present but soft, enough so you know it’s an IPA but it doesn’t linger on the palate. The malts add just enough balance, touches of grainy bread and just a hint of honey. This beer is incredibly easy to drink, so much flavor without going over the top, and at 6.5% ABV it isn’t overly boozy. The finish is clean with lingering hop flavor and just a hint of crisp bitterness. This is easily one of my favorite beers in New England, really one of my favorite beers period. I have dedicated this blog to celebrating the best beers brewed in this area, and this is clearly a beer worthy of that distinction. Hoppy Boston score: 5.0/5.